This article has been submitted to the LongmeadowBuzz blog by Mark gold, current chairman of the Longmeadow Select Board. I’ve gotten that question several times over the past eight years, ever since I began the quest for Longmeadow to purchase our streetlights from Eversource – the utility provider. Why? Because the town of Longmeadow rents our streetlights form Eversource, the local utility. Each year our town budget includes $157,600 in rental costs (over $13,000 per month) to rent lights, poles and other accessories associated with our streetlights. On Tuesday, May 14th the town meeting is being asked to approve funding that will allow us to purchase our streetlights and put an end to these monthly payments. Here’s why we should approve that funding, and here’s why now is the time. First, some background: In 2010 I attended a workshop at the Massachusetts Municipal Association meeting. The workshop described how towns had purchased their municipal streetlights and saved hundreds of thousands of dollars a year on their town budget. The Department of Public Utilities (DPU) issued a rule that required utilities to sell streetlights to any municipality that was interested in purchasing them at a mutually agreed upon sales price. We sat down with our utility, WMECo at the time, and asked about the purchase of our streetlights. WMECo said the lights, poles and hangers were valued on their books at $475,000, so that was their offering price. The consultant that was advising the town, valued the system at $175,000. Negotiations began. During the negotiating process, WMECo included a provision that allowed them to restate the value of their municipal lighting systems in a rate increase request before the DPU. 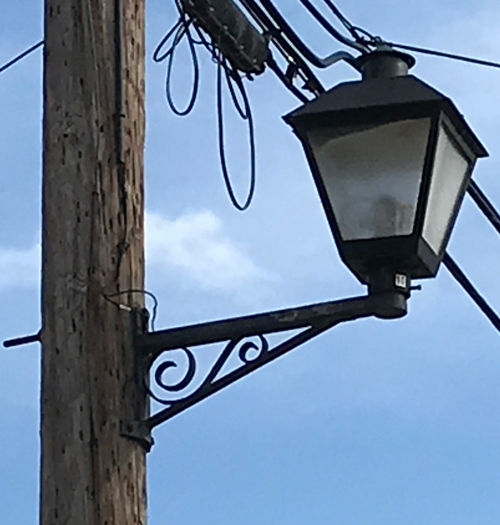 Shortly after the rate increase was approved WMECo informed us that the book value of Longmeadow’s street lights had increased to $745,000 and that was now their offering price. Same lights, just a different depreciation schedule, and the book value nearly doubled. Overnight, the benefit of purchasing street lights went from a sure-fire way to save the town money to at best, a break-even proposition. Buying our streetlights was no longer the financial sure thing, and the project was put on hold. For several years, not much changed. Then the lighting revolution hit, and incandescent lights changed to fluorescent, and fluorescent to ultra-low energy LED’s. Towns that had municipal power programs began switching their lighting from mercury vapor, sodium vapor, or halide lights to LEDs to save money on their electric usage. But for towns like Longmeadow, there was no incentive to change to high efficiency lighting. Longmeadow paid for our streetlights according to a rate tariff. Because the power used to run street lights is not metered, the electric bill for these fixtures is based on the calendar. For example, during December, where there is an average of 15 hour of darkness, we get charged for the use of each bulb according to its wattage for all 15 hours of darkness. Even if the bulb is burned out, we’re still charged for the power. In June, that same bulb may cost us only nine hours of electricity each night. Bulb by bulb, our charges for electricity change with the seasons, but each bulb has a cost for each day of the year. Why weren’t towns switching to LED’s? First, because we didn’t own the fixtures, and Eversource wasn’t about to invest in Longmeadow’s street lights, and we weren’t about to invest in Eversource’s fixtures. Second, because there was no rate tariff for high efficiency bulbs, so even if we installed an 32 watt LED that provided the illumination of a 300 watt sodium vapor bulb, we’d be charged for usage of the 300 watt bulb. The economics of street lights changed in 2018 when the DPU issued street light rate tariffs that included rates for high efficiency (LED) lighting. Now, the cost to run a 32 watt LED bulb is 10% of its corresponding 300 watt sodium vapor bulb. Same illumination, 1/10th the cost. With the adoption of a high efficiency lighting tariff it was time to take another look at our street lights. In addition to paying $157,600 per year in rental costs, we also pay $110,000 per year in electrical cost to light those streetlights, so the purchase of streetlights and their conversion to high efficiency LEDs gives us the opportunity to save both the rental cost and up to 90% of the operating costs – a total of up to $250,000 per year. I’m a firm believer that the long term financial stability of Longmeadow includes new sources of revenue and eliminating unnecessary costs. Five years ago the town was renting a fiber optics line from Verizon as part of the town’s intranet (building-to-building) computer system. With the approval of Town Meeting, the money we were using to pay that lease was used to finance a loan that purchased and installed our own fiber optics system. By managing the payments on the loan, the town saved about 20% of the cost of renting from Verizon for the five year length of the loan, and are now saving all the money we once paid Verizon. It’s time to do the same thing for our street lights. The $750,000 cost to purchase our street lights can be paid through a 10 year loan at $80,000 per year. Adding in the cost of a maintenance contract, the payments are still short of the $127,000 per year in rental costs. And that’s BEFORE we begin saving on the electric bill. Working with our town CFO, we’ve put together a financial plan under which the town would purchase our street lights. We’d bond the purchase and pay for the bond out of the budget line-item that pays for street lights. The plan is to save around 20% of the cost of street lights for the first few years, and then save 85% of the costs once the bonds are paid off. The 15% of the costs that remain are to provide upgraded lighting and a service contract to address ongoing maintenance. Our program has the town take advantage of grants (Green Community Grants) and incentives (some from Eversource) that assist municipalities in the conversion of their street-lights to high efficiency LED lighting. As part of our plan to further reduce the cost of our street-light conversion, I met with the Town of Agawam’s energy task force on November 13th to enlist additional communities in our plan, knowing that a larger purchasing group would reduce the cost of the conversion project. I am pleased to hear that Agawam (and now West Springfield) are planning to purchase their street lights and join Longmeadow in seeking bids to convert their streetlights to high efficiency LED systems. Warrant article 15 at the May 14th Town Meeting seeks authorization to borrow $800,000 to purchase our street lights from Eversource. The financial impact of this project will have a positive long-term impact on the town and help hold down our taxes. Please feel free to contact me to answer any questions you may have about this warrant article. I urge you to support this warrant article as the next step in fiscal control for the Longmeadow. 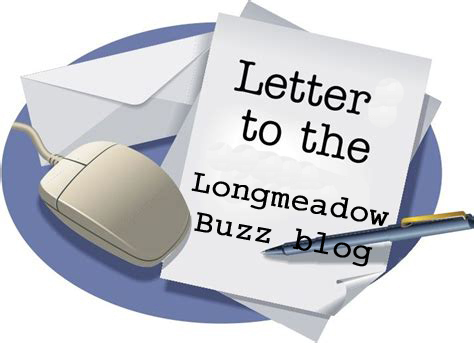 This letter to the editor was submitted to the Longmeadow Buzz blog by Marie Angelides, current member of the Longmeadow Select Board. The Town of Longmeadow is holding a special town meeting on March 26th after a citizen filed a petition asking that the New Adult Center be built according to the preliminary plan presented at the Annual Town meeting in May 2018. There have been some design changes due to the increase costs of materials and needed changes in the preliminary plans to accommodate the programs and services. This petition is asking that we pull back the bid and stop the project. The request is that we go back to the preliminary design. With the added design costs and the projected increases in the cost of building next construction season the town will need to go back to Town meeting for added funding of 1 to 1 ½ million dollars. Another June ballot vote may also be required. I would like to clarify the status of the design and correct some misinformation that motivated this petition. Longmeadow is planning on keeping the gift shop at the current location. The Maple Tree Gift Shop at Greenwood sells donated items and greeting cards. The Friends group (FOLOCA) for the Council on Aging runs the gift shop to support programming at the Senior Center. The preliminary design of the new Adult Center included 275 SF for a gift shop. This is inadequate space. The gift shop is now in a space of 990 SF and can expand at the current location. The petition would require the Gift Shop to move to a smaller space. Another problem with going back to the original design of 275 SF for the shop at the new center surfaced in our December town audit report. The town auditors informed the Select Board that municipalities cannot use town resources to fundraise for private entities no matter what the cause. To comply with this ruling the town will have to charge rent for the gift shop. The cost of the lease would be higher at the new center and the small space would not allow for much profit for a swap shop. Also shop space at the new Adult Center would also be attractive to other entities during the bid process and Longmeadow could end up with a business at the new Adult Center not the Friends’ gift shop. I am committed to working with the town and the Friends group to find a workable solution at the current space. Another issue is the Pickle Ball courts. The Pickle Ball courts are part of the bid that has gone out. There is concern the gym is slightly smaller. The square footage of the gym is actually larger with the inclusion of the elevated track. The Elevated track is one of the most popular design features of the new center. Moving from preliminary design to final design is a complicated and fluid process. The Building Committee has been meeting almost weekly to have the building bid ready this year. The meetings are posted and open to the public. Comments are invited at the beginning of the meeting. With this information and the agreement to work together for a positive solution on the gift shop the petitioner has decided to not go forward. There still has to be a meeting on March 26th . The Town Moderator will advise Town Meeting on the best way to proceed on the article. 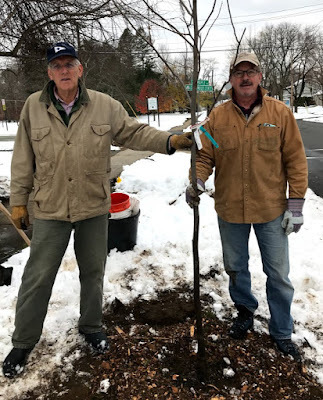 This Buzz letter was submitted to the LongmeadowBuzz blog by Nancy Hutner Mueller, a Longmeadow resident. It is unfortunate that some of the people who disagree with the Longmeadow School Committee’s 4-3 decision to not renew Superintendent O’Shea’s contract will not accept the reality that this decision was based on valid complaints about the Superintendent’s performance as enumerated by all 7 school committee members last May in his yearly evaluation report. The criticisms in this report should be concerning to any member of the Longmeadow community, especially allegations that Superintendent O’Shea lied to school committee members or mislead them on numerous occasions. The report also alleges that the superintendent spoke to school committee members in hostile, disrespectful, misleading, and even threatening ways. This kind of behavior is not acceptable in a superintendent and should not be tolerated under any circumstances. The report also states that Superintendent O’Shea did not follow through with clear directives of the school committee and that he showed a lack of initiative in presenting and recommending new policies and plans to improve the school district. 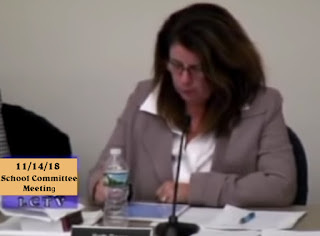 Furthermore, several members of the school committee state in their individual evaluations that Superintendent O’Shea tends to be dismissive of complaints from parents, students, and other members of the Longmeadow community; rather than investigating whether a complaint is valid, he has a knee-jerk response to immediately say “no” to parents’ and students’ requests. As stated by School Committee Vice-Chair Russell Dupere, “When complaints are lodged, it appears you instinctively become defensive. It often appears that you spend more time determining how to counter the allegations, instead of actually investigating whether the allegations are true. In my opinion, if a parent or student makes a complaint, the first step should be to gather information to make an informed decision. You cannot make an informed decision if you immediately dismiss complaints as being frivolous. Over time, I believe if this area does not improve it will severely limit your ability to lead effectively.” School Committee Chair Michelle Grodsky states: “Over the course of the year, multiple cases have occurred where feedback was given to you by a Committee member or a Community member. Examples of issues addressed: athletics, facility safety, administrative matters, personnel matters and policy matters. Concerning to me in follow ups to these conversations is an immediate defense of staff, and a disregard or dismissal of the feedback and/or the person delivering it. For example, in discussing the initial circumstances with our athletic program, you informed me that these concerns were really just coming from parents who were unhappy about the playing time of their children.” Committee member Kerrin Morrin states: “During policy discussions where it was clear that there were opportunities to improve district policies and practices, Dr. O’Shea was reluctant to make significant changes, noting that administration and staff would be upset. As the Superintendent, Dr. O’Shea must not avoid making difficult decisions in order to avoid disagreement and dissent, thus maintaining the status quo.” Clearly the Superintendent’s choice to support administration and other staff in order to maintain the status quo at all costs is not helpful to the progress of our school district in the long run. In my personal experiences as a parent of two students who previously attended Longmeadow High School, I found that the majority of my requests to administrators were met with an immediate and unconditional “no” response, leaving little or no room for discussion. Administrators were not open to considering alternative courses of action. They were content to avoid following certain federal and state regulations as well as pre-existing school committee policies. Last year, I met with Superintendent O’Shea to discuss some specific complaints as well as to offer suggestions for changing policies and procedures with the intended result of improving educational and extracurricular experiences of all students in Longmeadow. For example, I stated to Superintendent O’Shea that an important mission of the Massachusetts Department of Elementary and Secondary Education is to ensure that high schools prepare all students to be college ready as well as career ready when they graduate. I suggested to Superintendent O’Shea that Longmeadow join the Massachusetts School to Career Connecting Activities Initiative which gives students the opportunity to participate in the Massachusetts Work-Based Learning Plan so they can get internships with area employers while they are still in high school. Although 192 high schools (half of all Massachusetts high schools) have joined this Massachusetts School to Career Connecting Activities Initiative (including Minneachaug Regional High School, the high school for which Marty O’Shea was superintendent before coming to Longmeadow two and a half years ago), Superintendent O’Shea told me that he was not aware of the Massachusetts Work-Based Learning plan and that he would look into it and get back to me. Unfortunately, Superintendent O’Shea never got back to me about this potentially great opportunity for students at Longmeadow High School, and he also was not truthful to my family about another important issue. If you look at the Massachusetts School to Career Connecting Activities Initiative website today (click on the link above), you will see that Longmeadow still has not joined this very important School to Career Initiative. Schools in Western Massachusetts that have joined this initiative include Minneachaug Regional High School, Westfield High School, East Longmeadow High School, Agawam High School, West Springfield High School, Chicopee High School, Ludlow High School, Holyoke High School, Springfield Central High School, Easthampton High School, Northampton High School, South Hadley High School, Amherst Regional High School, and many others. The individuals who have submitted Freedom of Information Act public records requests to view emails sent to and from Longmeadow School Committee members have been selective in which emails they have chosen to post or discuss on MassLive, Facebook, and Longmeadow Buzz; I know that complaints that I have submitted to Longmeadow School Committee members by email concerning Superintendent O’Shea have selectively not been mentioned by his supporters. In my opinion, the four school committee members who voted against renewing Superintendent O’Shea’s contract in November made their decision with the needs of Longmeadow students foremost in their minds. 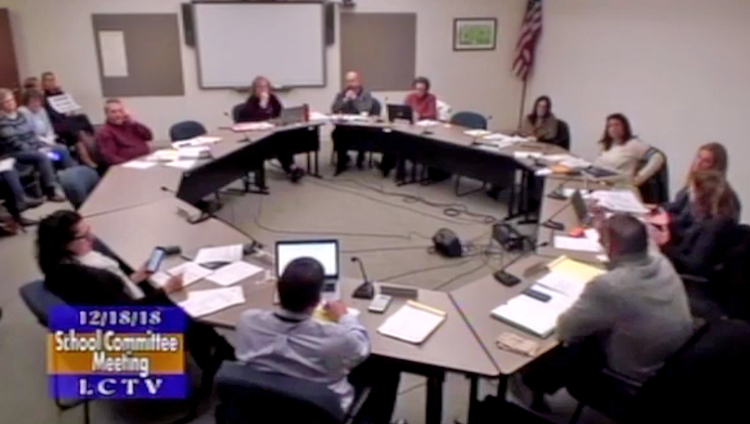 Considering that all seven school committee members wrote poor evaluations regarding the superintendent’s job performance last May, if three of the school committee members (including the chair and vice-chair) had not resigned from the committee at the end of last year, most likely the nonrenewal vote would have been 7-0. 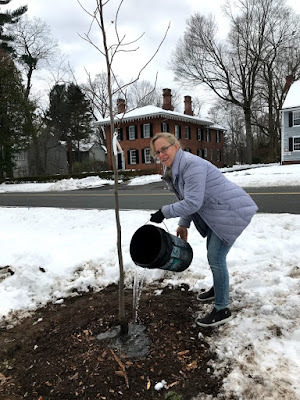 I think that the school committee’s decision should stand and that Longmeadow townspeople should vote against adding a recall provision to the town charter at the Special Town Meeting on Thursday. In a democracy, the appropriate time to vote for elected officials to represent the interests of the people in town is at the annual town elections. TM Stephen Crane was hired by the Longmeadow Select Board in 2011. 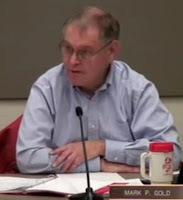 It is worth watching portions of this June 4, 2014 Select Board meeting to better understand some of the interpersonal dynamics involving this "employer (Select Board)" vs. "employee (Town Manager)" relationship. The current dysfunctional relationship between the Longmeadow School Committee and Superintendent O'Shea have similar characteristics to what has previously occurred between members of the Select Board and the TM Stephen Crane during the TM's first contract period. Many areas of the TM's first performance review were rated "does not meet expectations" and "needs improvement". A performance improvement plan was developed. In addition, an outside consultant was hired to help improve the relationship between both parties. This Select Board/ TM relationship had difficult times during the first contract period but has improved significantly since then. It seems that the four members of the School Committee who voted against the renewal at their November 14, 2018 meeting are unwilling to work with Superintendent O'Shea to improve the relationship since they failed to agree on even a one year extension. This is in spite of tremendous support for Superintendent O'Shea from all of the constituencies and stakeholders involved. Hiring of a new superintendent will be costly to the town. It is also likely that a less qualified candidate will need to be chosen in order to fill the vacancy. The SC chair Beth Baron should at a minimum consider a motion for a one year extension of the Superintendent's contract or submit her resignation. Below are two MassLive news articles providing additional details about this Select Board meeting for review. Like many of you, I have no particular stake in the decision to renew or not renew the contract of Longmeadow Superintendent Dr. Marty O’Shea. Other than being a taxpayer and having 4 children who attend Longmeadow schools, I have no real “skin in the game”. But back in November, I was asked to attend the School Committee (SC) meeting, at which the decision would be made on Dr. O’Shea’s contract renewal, and so I did. The overall passion of the teachers, administrators and various community members in support of Dr. O’Shea was striking. The glowing support from the Police Chief Stankiewicz and Fire Chief Dearborn was just as impressive, Chief Stankiewicz noting that Dr. O’Shea “expanded school safety more in the last 2.5 years than what was done in the last 10 years.” Even State Representative Brian Ashe recommended that the SC listen to their constituents, as their voices are “loud and clear.” Meeting after meeting that followed more citizens, administrators and teachers showed up in support of Dr. O’Shea. Impressed as I was at the massive support behind Dr. O’Shea, I was perhaps more shocked and disheartened by the perceived lack of interest in hearing these speakers and unprofessional behavior by many of our elected officials on the SC. One recent example, at the January 8th meeting committee member Stephanie Jasmin stated that she felt uncomfortable being alone with Dr. O’Shea, implying an inappropriateness. Later she poorly tried to revise her comment, noting that it wasn’t a “gender” thing, prompting Bronwyn Monahan to remind the quartet that she too is a woman and has absolutely never felt uncomfortable around or meeting with Dr. O’Shea. This is just one of many examples of pandering and insulting behavior demonstrating that this quartet does not like and will never support Dr. O’Shea. It is not plausible to believe that this SC was earnest in offering him a “clean slate” this year as they have repeatedly claimed. As people not privy to the inside baseball, it is hard for any of us “outsiders” to know what truly has transpired in private meetings. That said, an administrator with unquestionable integrity, Center school Principal Donna Hutton recently remarked at the January 8th meeting, “you are talking about Dr. O’Shea as if [he] is a completely different individual than the person we know.” In acknowledgment of the respect the administration has received for their accomplishments from the SC, she further notes it was largely due to the leadership of Dr. O’Shea. If this is true (and I would never doubt the candor and character of Principal Hutton) clearly the credibility of the SC evaluation of Dr. O’Shea is in serious doubt. The bridge between the current composition of the SC and Dr. O’Shea is not singed but incinerated. But so too appear the bridges between the SC and much of the Longmeadow community, the administration and teachers and even between this voting block quartet and other members on the SC. The supercilious behavior of Chairperson Beth Baron towards respected members of the public and SC members Armand Wray and Bronwyn Monahan is appalling. By not allowing the school administration to publicly meet and speak with them about this issue for almost a year and then slotting them only 15 minutes is insulting and disrespectful to these hard working and brave administrators. Instead of answering their request for concrete examples of where Dr. O’Shea has been derelict, Baron deflects by comparing the proceedings to a “Jerry Springer sideshow.” After watching these SC meetings and the animosity that they foster, I completely understand why an overwhelming majority in the teachers union voted “no confidence” in this dysfunctional body. The common thread behind this dysfunction is the School Committee, as it is currently comprised, and this body alone. As such, honest introspection is required yet apparently lacking. Better yet is action. Compromise is necessary. 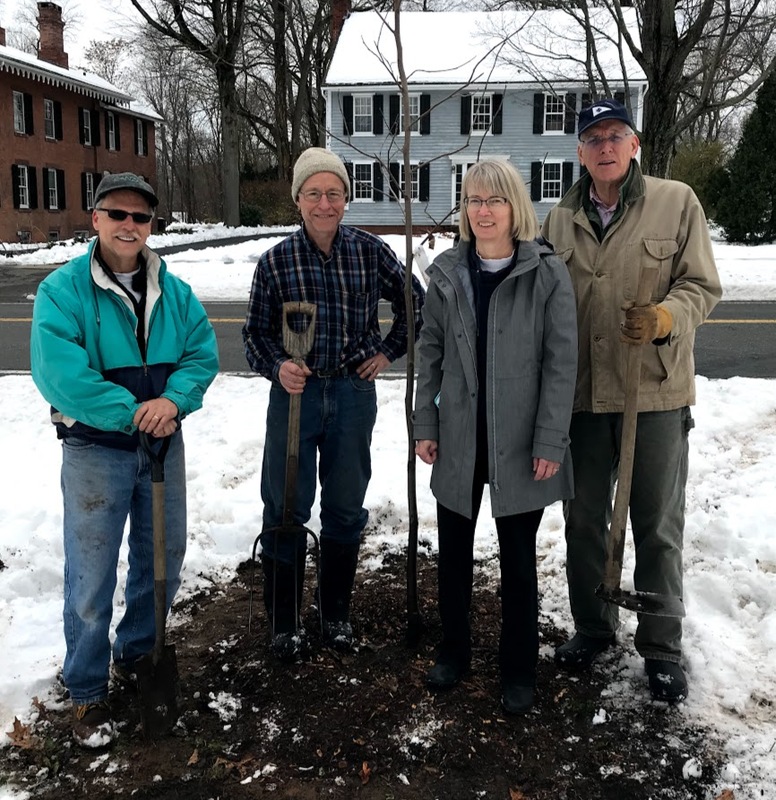 While, I personally think that some of the damage done by members of this quartet is not fixable, perhaps Longmeadow can still salvage something from this process. A simple solution that can save tens of thousands of our taxpayer dollars is to to simply extend Dr. O’Shea’s contract temporarily beyond the next round of SC elections. Two spots are open, currently filled by one member on either side of the divide. Because the so-called “Pro-Marty” side would require winning both seats, the “Anti-Marty” side has easier sledding. Clearly citizens on both side of the issue want to have their voices heard and this compromise would afford them this option. To those who protest, “there already was an election”-Absolutely true! With that election, both victors, Bronwyn Monahan and Ryan Kelly, support Dr. O’Shea and his administration. This is the clearest and most democratic compromise. Another compromise would be for, the current Chair, Beth Baron, to step down from her position and allow another member to lead this group. Clearly, if Dr. O’Shea is not fit to lead our respected school district, Beth Baron is equally not fit to lead our School Committee. She has failed to provide transparency and lacks the temperament to conduct proper School Committee meetings. Under her leadership, the school administrators felt forced to sign a whistle blower statement, protecting them from repercussions. Our administrators and teachers should not be afraid to ask questions, express their opinions and provide information in support of Dr. O’Shea, yet they are. Under her leadership, the Attorney General has opened an investigation into whether she, Morrin and Jasmin violated the state’s Open Meeting Law. As the Chair during this tempest, Baron should either demonstrate cooperative leadership that this group is sorely lacking or she should hand the gavel to another more capable member. In another compromise, all 7 members of the SC could resign immediately. This would be inevitably chaotic and challenging. It is unclear if this would require a special election or if members would be appointed by the Select Board, but it certainly would drastically and immediately disrupt the negative dynamics associated with the current SC. Clearly this is not the most reasonable option. Should Dr. O’Shea just step down now? Since he is already scheduled for non-renewal at the end of the school year, whether he steps down now or later doesn’t resolve the fundamental lack of trust associated with this School Committee. Furthermore, as former SC member Michael Clark noted, communities throughout the area are aware of this discord and it will be very difficult to attract qualified applicants. Would you want to be responsible to this School Committee? We are lucky that Dr. O’Shea is willing to stay even through his current contract. In the spirit of compromise, I am electing to take no action on proposed article 2. Even though there is legal support for this proposal, a potential legal battle within the town would likely cost more money than the SC would potentially waste on an unnecessary superintendent search. In the spirit of fiscal responsibility, I will not pursue to take action on this unfortunately needed fiscal oversight. In voting against Dr. O’Shea, SC member Kerrin Morrin, read that Dr. O’Shea fostered an “us versus them culture.” This culture, if fostered by anyone, stems from the failure of this unreasonable quartet to compromise in any fashion. The failed leadership of this body appears deaf to the parade of well-respected and knowledgeable administrators, educators, residents and respected officials. Perhaps someone can get them to listen. Compromise is necessary to restore public trust in this important committee. Compromise is necessary to restore trust between the school committee and our amazing administration and educators. Take some advice from Representative Ashe and listen to your constituents who have spoken loud and clear. Compromise. If you cannot, then please resign immediately. Below is a letter obtained via a Freedom of Information (FOI) request to the Town of Longmeadow. This email letter was sent to Beth Baron, Chair of the Longmeadow School Committee on November 12- two days before the SC meeting on November 14 during which the SC voted to NOT renew Superintendent O'Shea's contract. This letter was written by Randy Davis with cc to Amy Davis. The contents of the letter is a game plan proposal for the Chair to be used at the meeting on November 14 after the vote to NOT renew Superintendent O'Shea's contract. The first paragraph strongly suggests that the SC Chair had previously communicated to Mr. Davis that the SC had already decided to not renew Dr. O'Shea's contract prior to the vote on November 14. These two town residents (Randy and Amy Davis) who have lived in Longmeadow for ~ 3 years appear to consider themselves as self-appointed adjunct members of the School Committee. They have been vocal critics of Longmeadow public education and have addressed the SC a number of times- advocating that our schools are not as good as advertised and need significant changes to become competitive with other school districts. If you watch the two short video clips from SC meetings on July 24 and November 14, you can see that this FOI letter promotes their personal agenda. In addition, while vocally proclaiming all types of issues within the Longmeadow Public Schools these individuals have a potential conflict of interest given their business as professional "life coaches" charging consulting fees of up to $150/hour (www.familylifesuccess.com). During neither of the public appearances before the School Committee did they cite their business or any potential conflict of interest. Question: What other communications took place between the Chair and these two individuals before the deciding vote to not renew Dr. O'Shea's contract on November 14? Note: If text messaging was used by the Chair to conduct School Committee business, these messages are likely subject to FOI requests even if the public official used their own phone. In light of this letter and with all of the controversy surrounding the Superintendent's contract renewal, the Chair should resign her position on the School Committee. Randy Davis and his wife Amy shares their thoughts at the November 18, 2018 Longmeadow School Committee meeting about the renewal of Superintendent Marty O'Shea's contract.